Electronic Arts recently discussed on Reddit that the Star Wars: Battlefront PC requirements should match those of Battlefield 4, the FPS goal in the game is 60, and that we are looking at 12 multiplayer maps to start off. Here are some of the topics that one of the community managers for EA covered during a recent question and answer session. Comment from discussion Questions for the team (Please post QUESTIONS only). 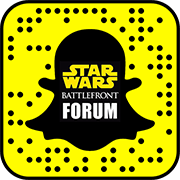 Comment from discussion Battlefront Community Manager is pretty cool and actually answering questions on the game!.